The British establishment is stepping up its deranged assault on anti-fracking protesters. How else can we interpret the 15-16 month jail sentences handed out yesterday at Preston Crown Court to three peaceful protesters? Simon Roscoe Blevins (26), Richard Roberts (36) and Richard Loizou (31) were convicted in August of causing a public nuisance. 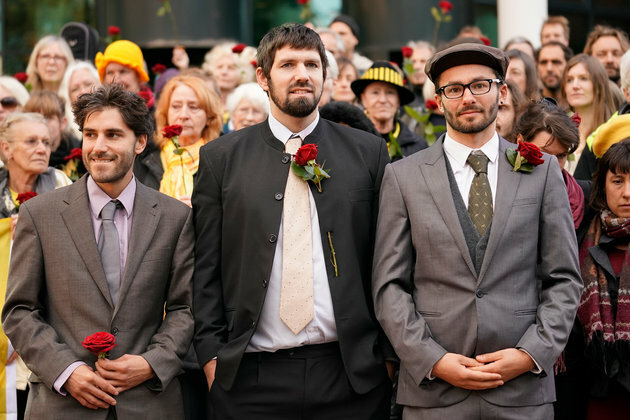 They took part in a four-day direct action that blocked a convoy of tricks carrying drilling equipment from entering the Preston New Road fracking site near Blackpool, operated by Cuadrilla. You are currently browsing the People and Nature blog archives for September, 2018.